“My first word was a song. I was three years old, and I sang Twinkle, Twinkle, Little Star. I haven’t stopped singing since,” Emily Brown says. Emily’s mom Denise says Emily has great capacity to bring joy to others. Emily has grown up at Camp Sunnyside, attending resident camp and respite weekends when she was younger. Emily counted it as her first sleepover! Respite weekends were about Emily being with friends and having normal experiences with her peers. Now at Easterseals Iowa Emily participates in adult day programming at Life Club. Here, Emily had the opportunity to use her singing talents when holiday caroling with Life Club at area businesses that support Easterseals Iowa. Emily says she goes to Life Club to volunteer, because she helps all of her friends! Denise has appreciated that Easterseals Iowa cares for Emily’s health, supporting her to exercise in the new McAninch Family Aquatic Center. Emily was able to maintain her weight for six months utilizing the pool. “Right there, that goes to show how important the services you offer are to our children and adults; it’s unique ways of getting them moving and active that we can’t provide them. And it’s a fun exercise,” Denise says. Denise also appreciates the on-site Camp Sunnyside nurse who has supported Emily’s health for years. “Nurse Patty—we are so thankful for her. We love her because she gets Emily. Emily’s needs aren’t overwhelming to her,” Denise says. Emily has also utilized the Easterseals Iowa Assistive Technology Center, where she was able to loan items she was interested in using. “She tried different sizes of body socks (used for sensory regulation) and we also tried a Fit Bit on her wrist to make sure she could tolerate it. We also borrowed Braille Monopoly. She loves it and asked for it for Christmas. There are so many things we’ve been able to try and say it’s worth investing in or it’s not going to work,” Denise said. Emily’s hope and dream is to be able to move out of her mom’s home, to a place where she can have her own independence as an adult, but also support when she needs it. Denise believes Emily will soon have the skills so she’ll be ready and successful. Emily has had some amazing opportunities, including singing for President Obama when he was visiting her high school, and singing the national anthem for local teams including the Iowa Wild, Iowa Cubs, Barnstorms and Des Moines Buccaneers. She currently holds the title of Dreams Made True Jr. Miss Queen. She was the 2017 Iowa Miss Amazing Jr. Miss Queen and will be competing for that title again this year. 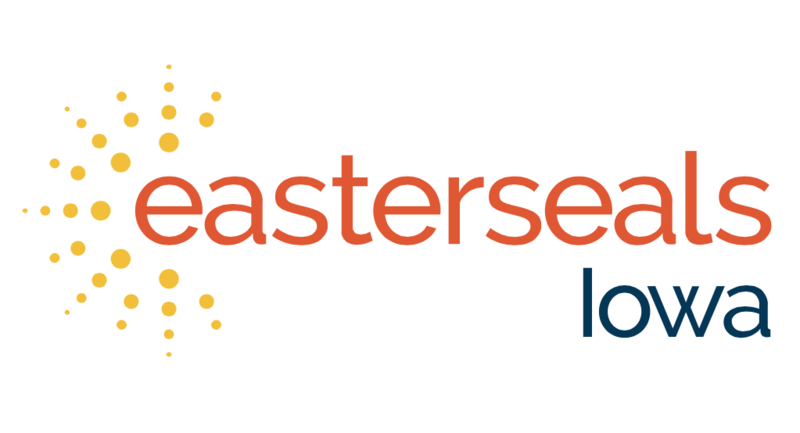 Emily also serves as an Easterseals Iowa Ambassador.